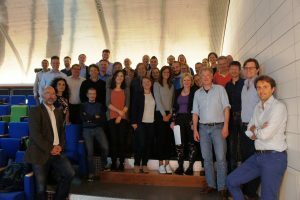 A joint Euro-MOTOR and JPND consortia meeting was held in Utrecht, the Netherlands from 2-5 September. The meeting was attended by many ENCALS members who participate in one or more of these international research projects. More than 60 ALS researchers from all over Europe attended the meeting to discuss the progress of the collaborative research projects. Topics were amongst others genomics, transcriptomics and ALS model generation. The meeting was hosted by the ALS center of the University Medical Center Utrecht. The Euro-MOTOR project has received funding from the European Community’s Seventh Framework Programme (FP7/2007-2013) under the Health Cooperation Programme. JPND projects discussed at this meeting were SOPHIA, STRENGTH, ALS-CarE and NEEDS in ALS (funded through the EU Joint Programme – Neurodegenerative Disease Research). Please find more information about these collaborative research projects. If you have any queries regarding these international collaborative projects, please send your e-mail to sophia@umcutrecht.nl. 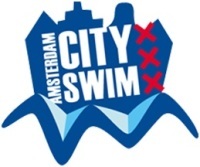 The meeting ended with the Amsterdam City Swim on Sunday September 6th. Several ENCALS members attended the swim to cheer at the swimmers and enjoy the great atmosphere. Some very brave ALS researchers jumped in the cold Amsterdam canals to raise funds for Project MinE: Leonard van den Berg and Jan Veldink, Ammar Al-Chalabi, Pierre-Francois Pradat and Alberto Garcia Redondo. Please click on their name to visit their fundraising pages, donations can be made until the end of September.